Core muscles are key in keeping your spine stable and free of pain. The better and stronger your cores are the less likely is your chance of getting back pain or hurting your spine. Strong core muscles are needed to proper function. The need for stability is even greater in those in pain. If you have back pain, you will need to build better core muscles. However, most back pain sufferers injure their spine when doing core strengthening. The key to avoiding injury and pain is proper core strengthening techniques and methods. And as such, we encourage all visitors to Chiropractic-in-Malaysia blog to visit one of our chiropractors or clinical physiotherapists in Malaysia, before embarking on a core strengthening program. People with poor core muscle strength and excessive abdominal circumference often present with excessive forward arching of the lower back and forward tilting of the pelvis. Dysfunctional movement patterns due to excessive lumbar lordosis will result in pain or discomfort in the hips, buttocks, lower back or groin region. This common postural manifestation can lead to lumbar disc degeneration or herniation, hip joint disorders, and sacroiliac joint dysfunction. Distribution of the body weight will be different in a lumbar spine with exaggerated lordosis. The body weight is transferred from the strong, broad, supportive vertebral bodies and discs to the more delicate lumbar facet joints. Space, where the spinal nerves travel through, will be compromised as the curvature in the lower back increases. This will cause increased irritation and pressure on the spinal nerves in the lower back and may lead to pain or numbness in the lower back and the lower extremities. Individual with excessive lordosis in the lower back usually present with protruding belly and buttocks, over-extended knees, flat feet, and protruding concavity of the lower back. The weakness of the pelvic, abdominal and hamstring muscles may cause forward tilting of the pelvis. Excessive tightness of the hip flexors and lower back muscles may contribute to the excessive lordosis curvature. Treatment for excessive lumbar lordosis usually includes stretching and lengthening of the shortened, tight muscles that are causing anterior pelvic tilt such as the hip flexors. Strengthening of the muscles that create posterior tilt of the pelvis such as abdominal muscles. Restoring the proper position and alignment of the pelvis and lumbar spine to maintain stability and mobility of the lower back. 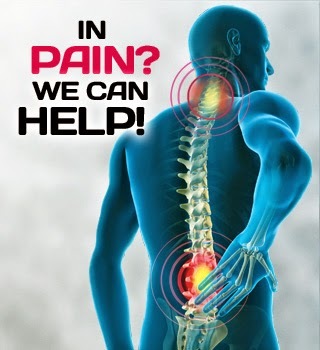 For more information on how to properly build your core muscles, back pain treatments or chiropractic in Malaysia, please contact our main office 03-2093 1000.